If you know me, you know I'm not the most comfortable in front of a camera. But there was no doubt that I wanted to capture the excitement and love of Evan and I, while Baby Mock is/was still brewing. When my good friend Seneca asked to take our maternity photos, I was overjoyed. She is one of the kindest, most genuine people I know and if anyone was going to take pictures of the pudgy-face, round-belly, sausage-toe person that I currently feel like, I wouldn't want it to be by anyone else. My husband, who is always the comic relief, was in rare form. And with my emotions unstable as is, Seneca probably had to edit tears of laughter from each photo because we had such a great time. A big thanks to Chippy White Table for having such a beautiful space in Tunkhannock, PA. So here's to a new adventure! Captured so wonderfully by Photography by Seneca. A huge shout out to Seneca Lewis. 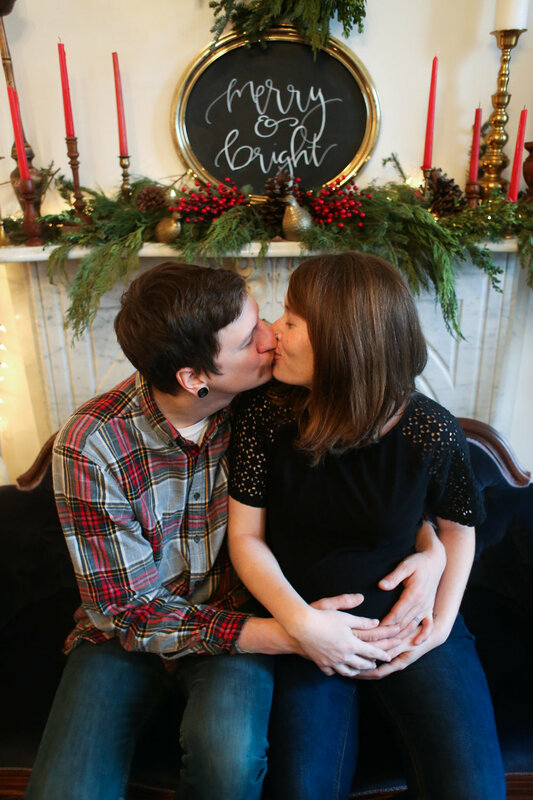 Be sure to check out her blog with some more fun photos of Evan and I! Not to mention an upcoming blog right here, of our Baby Shower coming soon!